Lately I have been feeling like the slowest reader on earth. I do so little reading during the work week and then on the weekend it's a mad dash to make up for lost time with whatever book I am reading. I am on target with the TBR Challenge and am looking forward to the start of the Nonfiction Five Challenge that will begin next month. I am in the middle of my second book for the Once Upon a Time Challenge and am working through my selections for the Spring Reading Thing and the Reading Through the Decades Challenge. I still have not earned my place as an active participant in the New York Times Notable Books Challenge, but I hope to soon (I know, I know, I keep saying that and actions do speak louder than words . . .). I finished off my last book for the Chunkster Challenge this month, and am glad to now have two challenges under my belt for the year. Although I made no announcement here on my blog, I had decided to stop signing up for reading challenges for the time being, especially during this busy time of the year when all the books I seem to be able to read are challenge books. While all the challenge books are obviously ones I want to read (why else would I select them? ), it is nice to have room for a spontaneous choice now and then. However, one of my fellow mystery readers, Kathrin (who has been reading mysteries enough for both of us since I seem to be slacking in that area lately), is running the Classics Reading Challenge this summer and into the fall. She was unable to participate in the Winter Classics Challenge but did not want to miss out on an opportunity to read a few classics before the year was out. I had indicated back when she was first considering the idea that I might be interested, and I have since decided to support her in the challenge she's hosting. Her challenge is quite flexible: participants will read 3 to 5 classic novels between July 1st and November 30th. 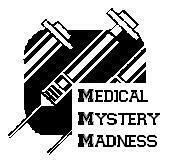 The last month or so I have been craving a good suspense/thriller novel, and when Debi over at Caught Between Worlds announced the Medical Mystery Madness Challenge, I gave it some thought. Since a lot of my reading seems to be dictated by challenges lately, why not sign up for a challenge reading one of those books I've been craving? This might be the only way I can fit them in! The challenge involves reading 2 or more medical thrillers between June 1 and November 1. 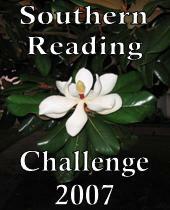 And what about Maggie's Southern Reading Challenge, which spans over three months, June through August? I really did plan on staying out of this one. I was actually surprised to discover how few Southern authors are among by TBR collection. It is shameful really. I am sure I will regret signing up for another challenge. I can just imagine my husband reading this and shaking his head, wondering if I will ever be able to make time for him outside of my reading. Challenges are like the snooze button on my alarm - just one more time won't hurt. Hopefully my selections all qualify since I'm kind of going Southern-lite this round (I might be stretching it a bit). There are many terrific sounding challenges out there that I would love to participate in, but it is not realistic for me to do so at this time. 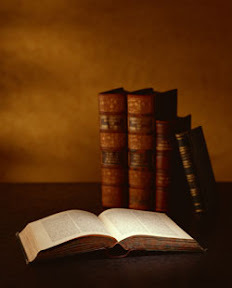 Check out Caribousmom's A Novel Challenge blog for the latest list of reading challenges. You may just find something you would be interested in! On a different note, I was excited to see Anjin (aka Kira), post about one of our favorite mystery writers, Michael Connelly, on his Bullet Points blog. I love to see my darling husband excited about the books and it's especially nice when we can share an interest in a particular author or book. Back to my own reading . . . Thanks for joining, Wendy! I'm the same way in that I don't get a lot of reading done during the work week and so I try to squeeze in a bunch of reading on my weekends. I'm pretty sure I've read Life Support by Gerritsen - she's one of my favorite authors. So is Michael Palmer and I have The Society in my TBR pile. I might switch to that and join you. So many choices!! No, I think I'm the slowest reader on earth. LOL. The challenges sound fun, but they just don't work for me. I want to read what I want when I want. Therefore, my TBR stack is enormous. LOL. Wow! So many challenges. I'll have to look into that new Classics Challenge. I love classics. I've read both Persuasion and Baskervilles and I just bought Dorian Gray yesterday. Good luck with all that reading. Plus, I need to do the Brontes as a classic challenge. Kristy - The challenges are fun. I don't mind reading from my own lists so much--with such a huge TBR collection, sometimes the direction helps me choose what to read next. Still, there are moments when I wish I had time to read a book that's not on any of my lists. Petunia - Thanks! I hope you will join in on the new Classics Challenge. I enjoy reading the classics too, but I don't do it often enough. Congrats on finishing the Chunkster Challenge! Yippee for you!! And, uh-oh. I'm seeing too many challenges I want to join - all three of the books on your Classics list are titles I need to get to. Bad, very bad. Just like you, I want to join few enough to feel I have freedom to read whatever my whims lead me to, but the challenges do help nudge me to read certain books I've put off. Wow Wendy...you are as bad as I am!! You will have to check out my last post! I'm still thinking about the Southern Challenge. I just don't think I can do the medical mystery one, though it does sound fun! I feel very lucky to have a husband who enjoys reading. I'm always trying to find books for him to try, and finding ones he will enjoy is not always easy. Stephanie - We need a twelve step program, I've decided. I've sworn off challenges until I finish my thesis. There's just no point until then, and even then I figure the English major curse will kick (the inability to read for a certain amount of time after the achievement of a degree). We'll see. I have my fingers crossed that that the non-reading doesn't last too long. I thoroughly enjoyed the Winter Classics Challenge, but I'm not ready for another go around yet. I hope you enjoy The Hound of the Baskervilles as much as I did. 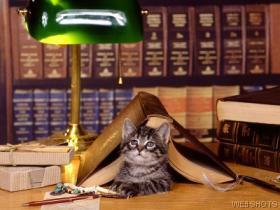 Andi - You are probably wise to stay away from challenges until you finish your thesis. That definitely takes precedent right now! I've seen Dreyer books as choices on several lists. I'm going to look into those; I've never read one. My husband is also a reader. Thank goodness! Joy - I was noticing Dreyer coming up a lot too. I've been wanting to read some of her work but just haven't gotten around to it. This is a good excuse to finally do so. We'll definitely have to compare notes on The Hound of Baskervilles, Joy. I am reading "When Crickets Cry" for the Southern Challenge too. I will be certain to look for your review. Hi, Amy! When I was browsing through everyone's Southern Reading Challenge list, I noticed you had chose When Crickets Cry. Honestly, that's the main reason I decided to give serious consideration to joining! :-) That's about the only "serious" book I'm reading for the challenge. I kind of feel like I'm cheating with the other two. Great! Hope we both enjoy it.